ActionTours Big Bear, California is the most exciting way to experience Big Bear year-round, weather permitting. The three-hour tour includes an off-road ride two miles into the forest in our safari jeeps, nine high-speed zip line lines that run down our mountain for the most avid thrill-seekers, and a suspension bridge with stunning views of Johnson Valley as a backdrop for it all. *weekdays only. 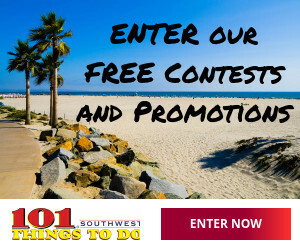 Call (909) 866-0390 and mention 101 Things To Do! 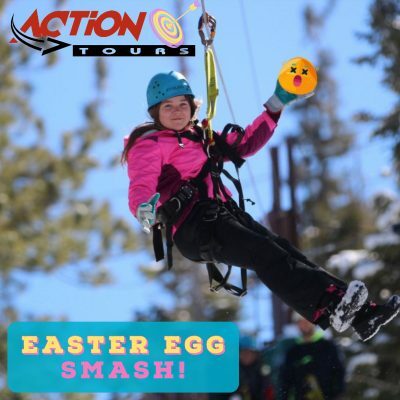 Easter Egg Smash tours run Saturday, April 20, 2019 and Sunday, April 21, 2019 at 11:00 am and 1:00 pm.Make your reservation for this special tour using one of the date & time buttons above. Easter eggs will be provided to each participant once you arrive at the Zipline property. Segway Tours are a unique and fun experience. Glide your way through Big Bear Valley in warm or cold weather. 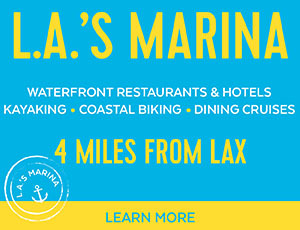 The tours are truly the most relaxing, exhilarating and fun way to see the Big Bear Lake area. Experience the Great Outdoors in Big Bear California at Action Snow Shoe Tours. Action Tours provides your equipment (snowshoes and poles) and training with an experienced guide. Enjoy the beauty of the winter solitude among the Jeffrey and Ponderosa pine trees surrounded by the snow-capped Big Bear Mountains. So whether you’re planning a team-building retreat for a large group, or you’re looking for something new to try with your family, Action Tours Big Bear are the perfect way to spend your day in the mountains.